L-carnitine is just one of the amino acids that your body naturally produces to help support and maintain optimal overall health. 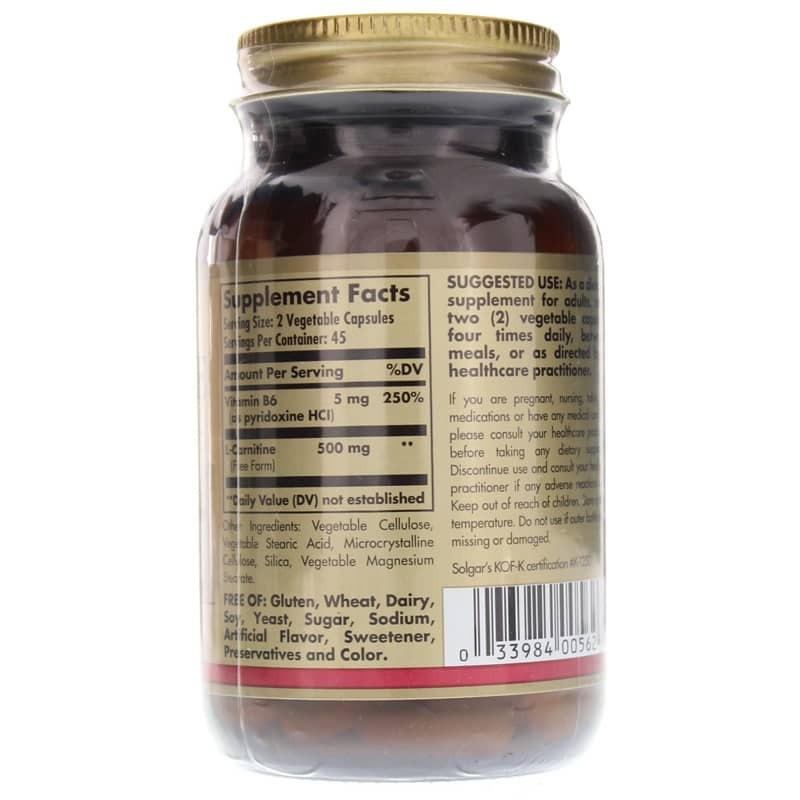 It plays important roles in healthy energy production and fat metabolism. While the human body typically produces enough carnitine, some people may supplement with it to better control energy levels. 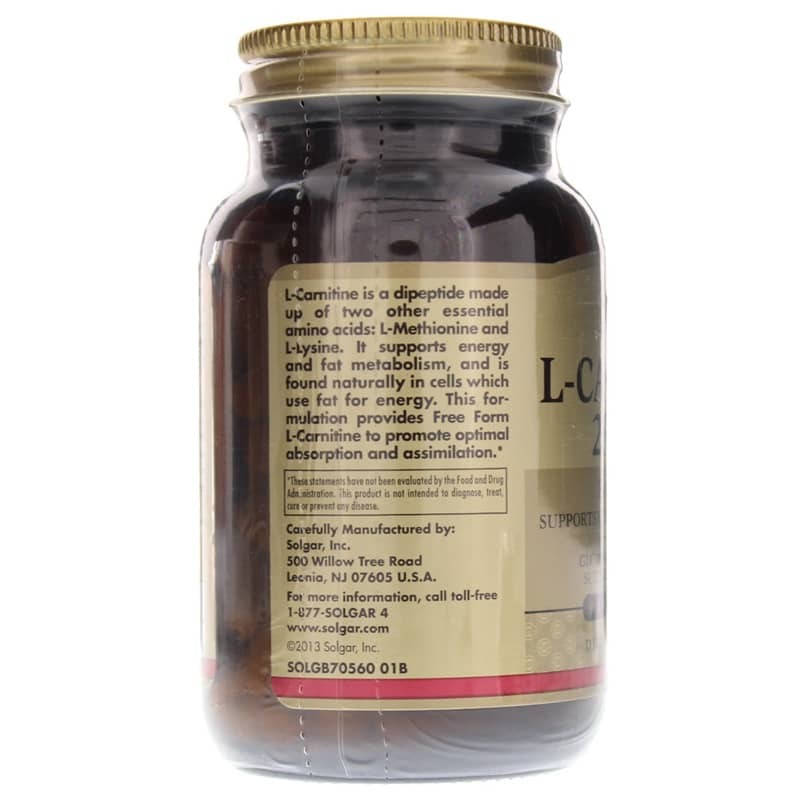 Solgar offers a product called L-Carnitine 250mg, a dietary supplement for daily use that promotes healthier energy levels and optimal overall health and wellness. This product is manufactured without the use of most common food allergens, and contains no artificial flavors, sweeteners, preservatives or colors of any kind. Between two and eight easy-to-swallow capsule may be taken every day to help ensure healthy energy levels. 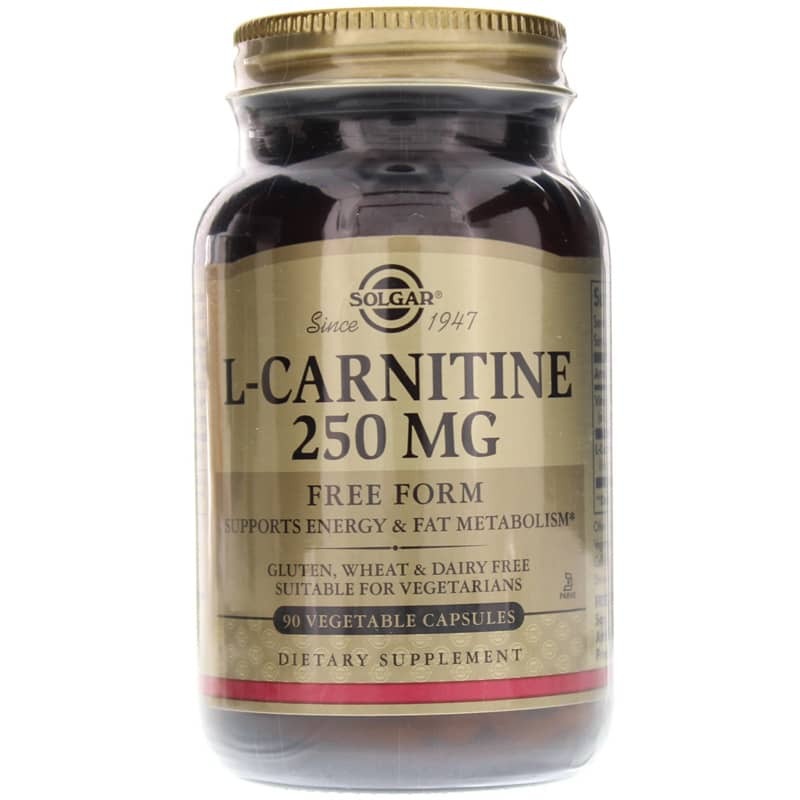 Order your bottle of L-Carnitine 250mg from Solgar today! Contains NO: gluten, wheat, dairy, soy, yeast, sugar, sodium artificial flavor, sweetener, preservatives or color. Vegetarian. Adults: As a dietary supplement for adults, take 2 vegetable capsules four times daily, before meals or as recommended by a healthcare professional.